Liquid electrolyte that solidifies on impact could keep batteries from shorting and catching fire. To make lithium-ion batteries safer, researchers find out a solution: A liquid electrolyte that becomes solid on impact. The electrolyte could keep batteries from heating up and bursting into flames.And it could be cost-effectively and easily . 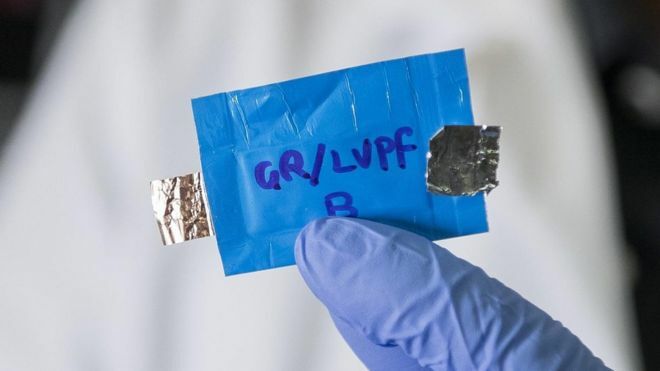 Lithium-ion battery cells contain two electrodes separated by a thin plastic sheet and submerged in a liquid electrolyte. If the plastic separator breaks, the electrodes can “touch” each other, shorting the battery and heating it up, which could cause the volatile liquid electrolyte to ignite.